^ One of the better songs off of Gold Against the Soul. Yeah i like this one. Sleepflowers probably my favourite. It's not a bad album really, it just lacks direction and seems to be a bit over the bands head. I wonder if they could go back and have another crack at a second album whether they would do that one all over again. I dont think so somehow. Sleepflower's got one of the catchiest riffs I've ever heard to it, so it's another good one. Roses In the Hospital or La Tristesse would be my pick of the bunch though. Can see what you mean about the lack of a cohesive direction on the album as well. There are a few songs on it I just plain don't like as well. Then again, it's been ages since I last got through it end-to-end, so I may get back to it someday. Jeremy Jay - Slow Dance. Underrated album, one of the best from 2009 imo. For fans of Television, power pop. etc. ^ Possibly one my 5 favourite songs of all time. 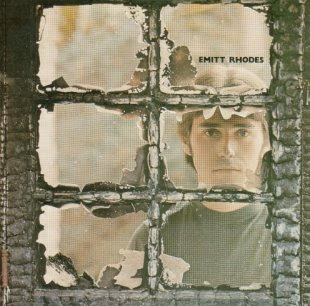 Emitt Rhodes. The unknown Paul McCartney? ?